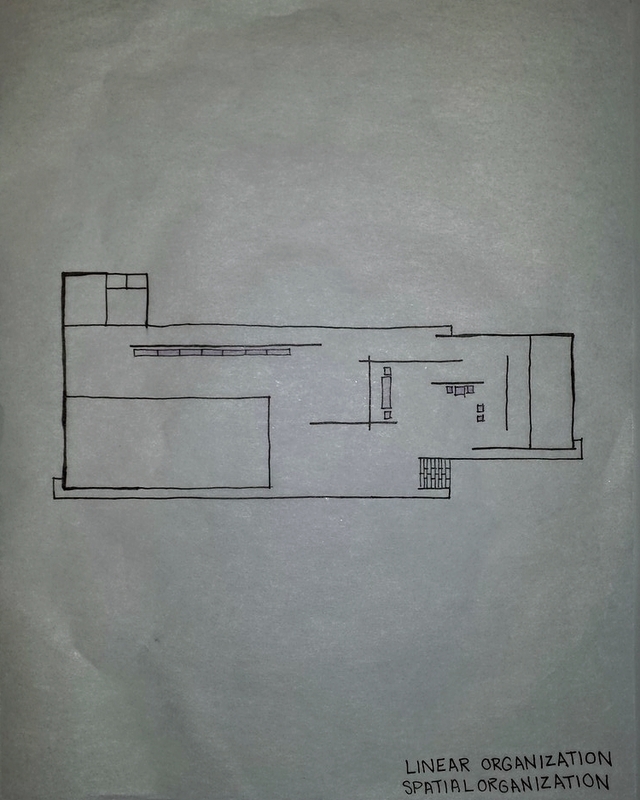 A focus study on Mies van der Rohe's Barcelona Pavilion (also know as the German Pavilion), built for the 1929 World's Fair, Barcelona, Spain. 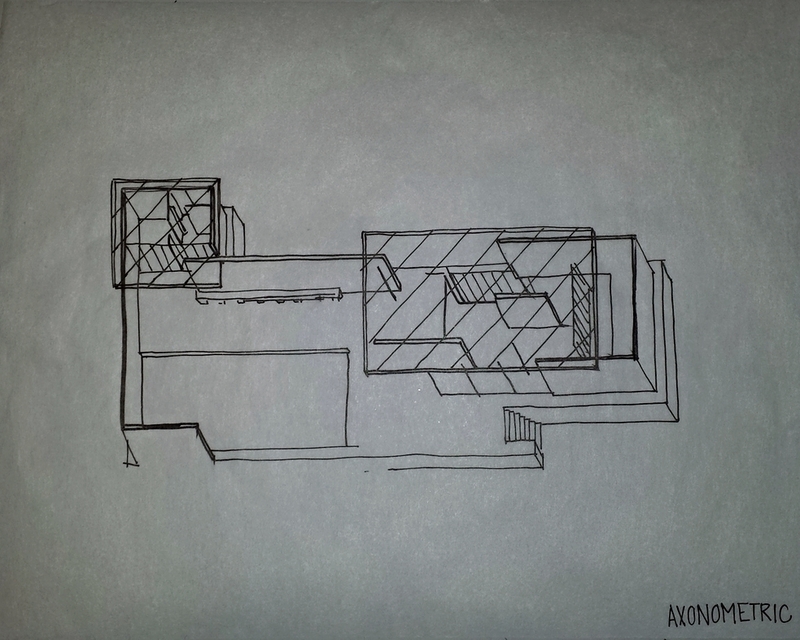 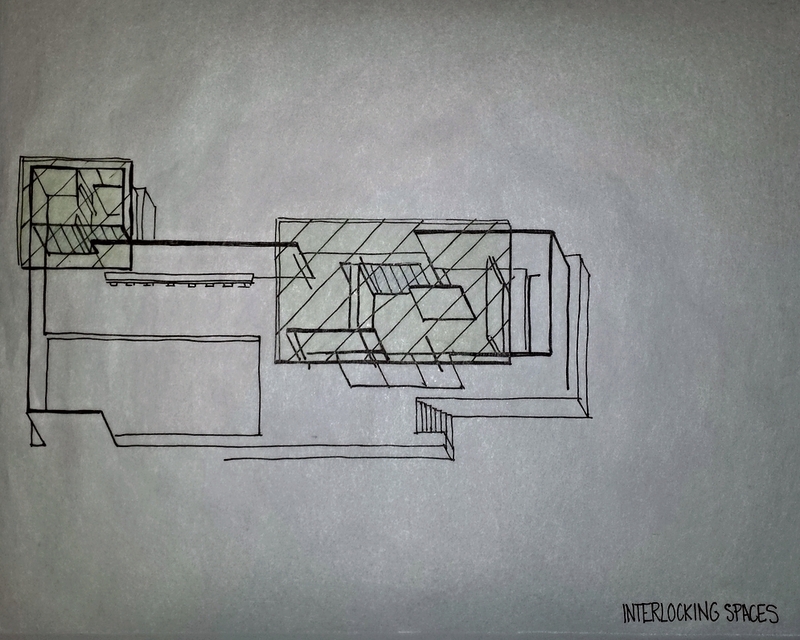 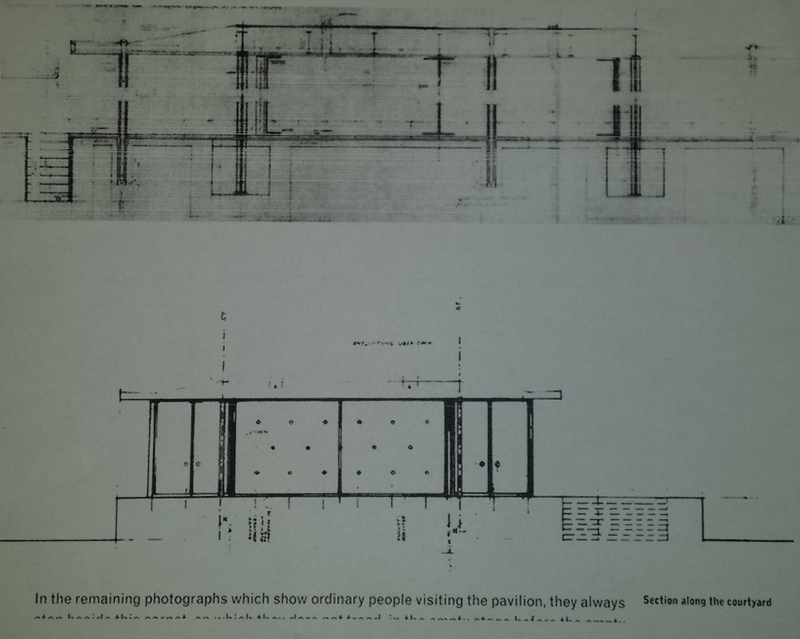 *These are duplicated drafts and copies of van der Rohe's drawings and draft sketches. 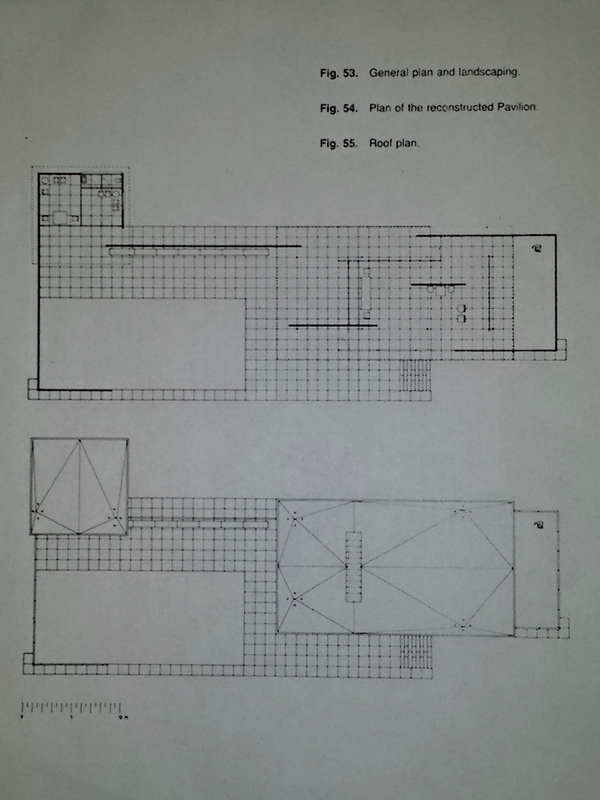 The drafts that I reproduced were traced and analyzed.